Mix together in blender and freeze. You cannot even believe how delicious it is. 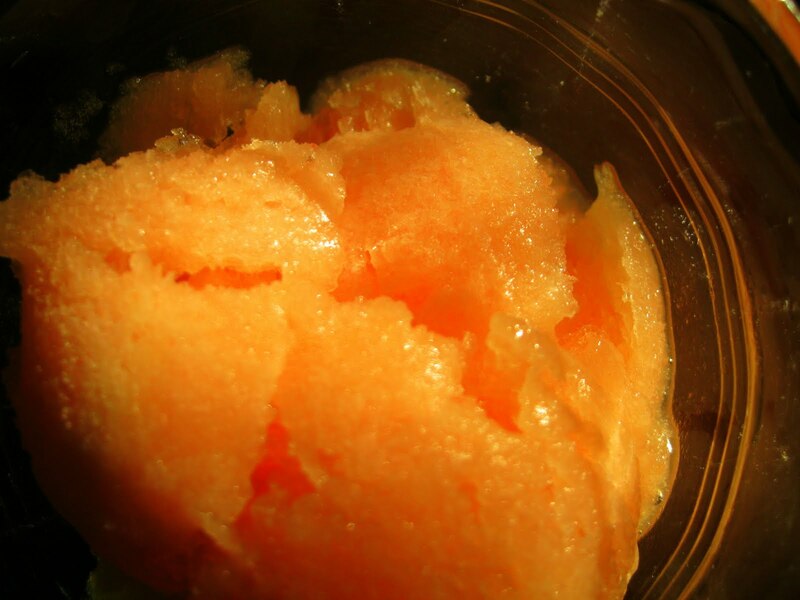 Haven’t tried Col’s recipe for peach ice cream yet, but I can see we’re both enjoying summer’s luscious fruit. It looks delicious and it sounds so easy to make! Oh my gosh, that sounds divine. I'm going to buy the ingredients when I'm at the grocery store today. That sounds completely amazing. I am going to give that a whirl this weekend and impress some visitors we have got coming! I must try this! Peaches are on sale right now–great timing! If it tastes even half as good as it looks, then it must be wonderful. Thanks for sharing this idea, Bellezza. How perfect for summer! I need to try this for a future dinner party. Eight of us get together and have drinks and appetizers at one house, then go out to dinner at a nice restaurant. We head over to another home afterwards for dessert and drinks. Well, I'm in charge of the dessert and drinks and this sounds perfect since we're going out for Thai food. I should probably make something with chocolate, as well, though. ;)I made peach and mango chutney for the first time ever this past week. I thout it was quite good, but my hubby wasn't impressed. He just doesn't see the point. Silly man!Love that header, my dear. Yes, it reminds me of us! Yum. The Peace Ice Cream recipe looks delicious also. My mom makes lovely blueberry ice cream but I haven't attempted to make it on my own yet. Oh- you're making me jealous of your summer…. I might wait a few months before trying it, it's more like chocolate fondu weather here right now. But wow, what and easy way to spin out the guests! We've had some wonderful peaches this summer! I will definitely try this out 🙂 It looks so refreshing! Our peaches are gone, but I have some wonderful strawberries that have to be used quickly or frozen. I may give them a try with this!I do like your current template – I never know what I'll find when I come here!